You can use the KeyboardDevice.IsKeyToggled method to check the toggled state of any of the three toggle keys–Caps Lock, Scroll Lock, or Num Lock. 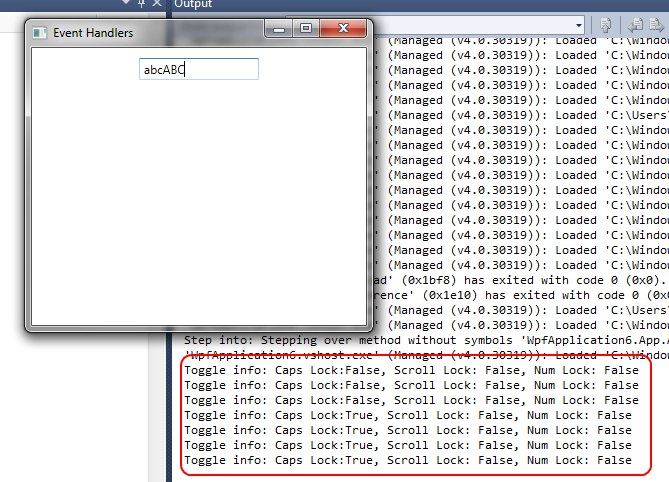 For example, we can do this in a keypress event handler for a TextBox. Now, as we type, we’re told of the current state of these three toggle keys.